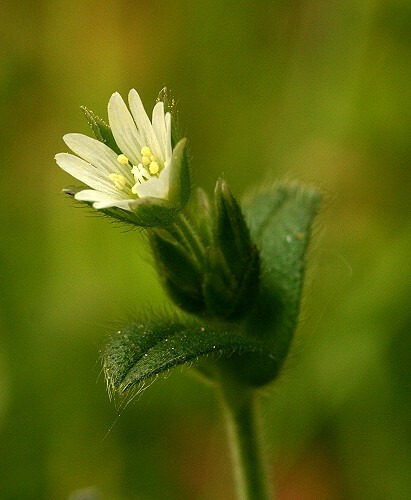 Common Mouse-ear, a type of chickweed, is widespread in Britain. It occurs in all kinds of habitats. 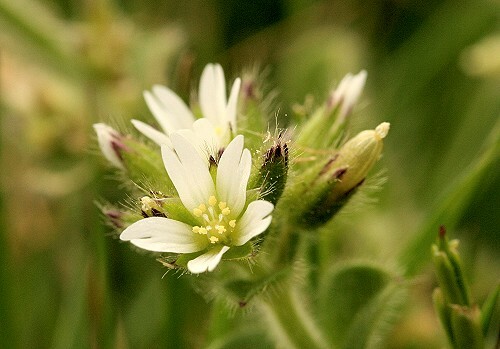 The flowers are tiny and made up of five deeply-notched, white petals and long sepals. The stems are long and trailing and both stems and leaves are covered in tiny hairs.